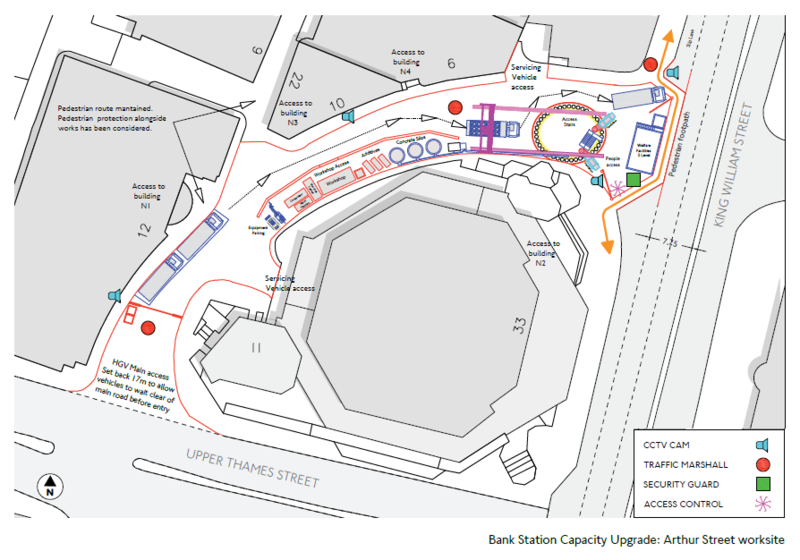 As regular readers will know there was a consultation exhibition about the Bank Station Capacity Upgrade recently. Long term readers will also recall that there had been at least one previous consultation which took place just over one year ago. We described then how London Underground had prepare an outline scheme and planned to put it out to the four shortlisted bidders. It was emphasised at the time that bidders were not obliged to follow the details of the scheme and could suggest alternatives so long as they met the objectives of the upgrade. What was expected and hoped for was some suggestions for improvements as to how the scheme could be implemented and, by giving bidders some freedom as to how to approach this, some savings that could cut the cost of the original scheme. We have tried to emphasise in the past just how vital this scheme is. It is necessary for the city’s well-being that it have good transport facilities. In part 1 of last year’s two instalments on the subject we emphasised this. This time around London Underground are not quoting absolute passenger numbers, but emphasising that growth at Bank station currently stands at 4% per year and shows no sign of abating. 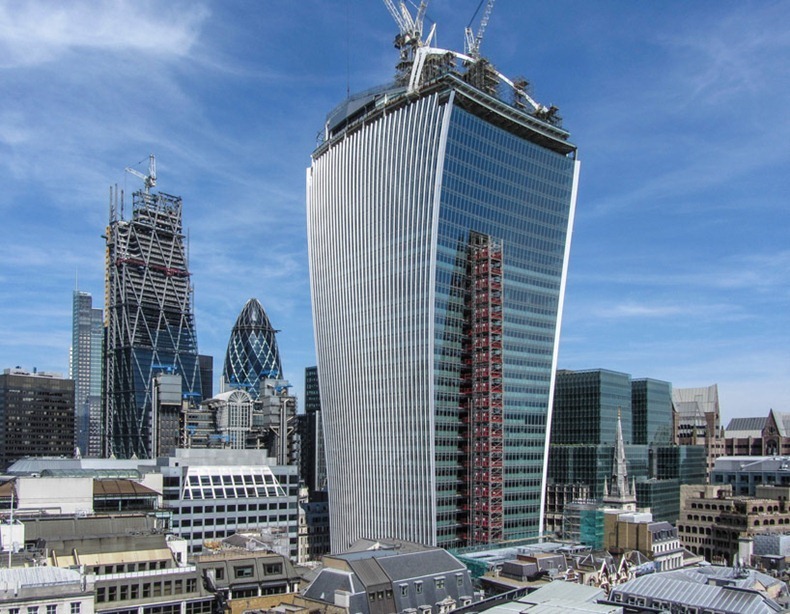 The Walkie-Talkie building in London under construction with the Cheesegrater behind it. This photo was taken in September and highlights the amount of new office space still being created. Thanks to Romain at fubiz.net for giving us permission to use it. One would have thought that with the rise of Canary Wharf the City of London would experience a downturn. Clearly this is not happening, as evidenced by the building of the Walkie-Scorchie and the Cheesegrater high rise buildings. One reason for businesses building in the city and not at Canary Wharf can be found within Terry Morgan’s Crossrail lecture where he explains that the lack of spare transport capacity at Canary Wharf means no commercial building is currently taking place. In other words they need Crossrail now so that growth can continue. No such restriction has been placed on the City of London. It is not just outside interests that desperately need the Bank Station Capacity Upgrade to go ahead. London Underground have various improvements planned for the Northern Line, but it has long been recognised that upgrading Bank station is essential if the benefits are to be gained from other schemes. Basically there is no point in running more trains if Bank cannot handle the extra passengers using the station. London Underground and TfL were clearly very worried that the Bank upgrade would be a victim of the latest spending round and in an unusual step TfL issued a press release shortly before the Chancellor’s statement spelling out the consequences of not carrying out the upgrade. It may have sounded alarmist about what would happen without the upgrade, but if anything it underplayed the situation. Bank station already has a series of “intervention measures” that are sometimes implemented due to overcrowding. In fact, it can be even worse than described because there is then the danger that Moorgate and London Bridge cannot handle the additional passengers and then the only safe thing to do would be to close the entire Bank branch – something that does not bode well for alternative arrangements whilst Bank station is closed in the summer of 2020. No doubt to the considerable relief of many in TfL and London Underground the project survived the chancellor’s spending round and progress could continue. As stated at the start, what was expected from the bidders was a refinement on the basic scheme that had been prepared earlier. What came from one of the bidders, Dragados, was a real surprise as it contained many elements that did not form part of the original outline scheme. For all sorts of different reasons the London Underground engineers loved it. As the engineers are not allowed to see the price of the schemes they were evaluating, they were more-or-less resigned to this scheme not being the selected one and had mentally consigned their preferred scheme to the “what could have been” pile. They were really pleased (and surprised) when this scheme actually turned out to be the cheapest. We will go into details later as to why the bid from Dragados was so good, but to understand one of the reasons we need to look at the importance of construction sites in general and for this scheme in particular. It might be an obvious thing to state, but a construction project generally needs at least one construction site. Selection of a site or sites it not to be undertaken lightly. It has to fulfil the needs of the project, but at the same time you really do not want to be knocking down expensive buildings just to obtain a piece of flat land. In a similar vein one wants to avoid listed buildings or ones of obvious architectural merit because any proposal to demolish or even alter them will undoubtedly result in objections which may well be upheld. For a big project like Crossrail or even the Northern Line (Battersea) Extension a lot of thought and public consultation goes into these issues as well as others such as how many access shafts are needed, how many need to be permanent and exactly where they are sited. Another thing probably not realised by the layman is just how big a construction site really needs to be. The bigger the better, in fact. It should also ideally have different access and egress routes. As part of the planning process the workflow at a proposed construction will have been evaluated in detail just to check that it really is workable. For example, one wants to make sure that the site is big enough for any intended cranes and that a crane’s outreach doesn’t cross the boundary into a third party’s property without having secured their permission first. A mistake made at this stage of planning could easily mean the difference between being on time and on budget, or late and built at a loss. The originally intended construction site consisted solely of the site of 10 King William Street. When it was recognised that this was unrealistically small all the other sites in the block were subsequently included as well. 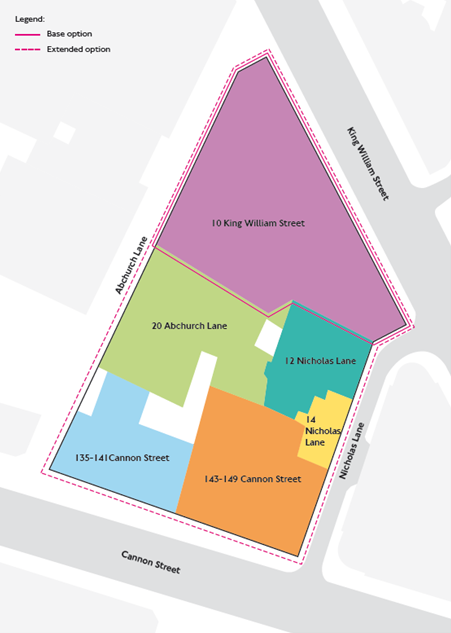 In the original plans (as we saw in part 1) the intention was to have a small worksite off King William St. It seems that all the potential bidders took one look at that idea and stated bluntly that the proposed worksite was just not viable. The site was extended to cover the whole block. This had two major consequences (apart from obviously being bigger). 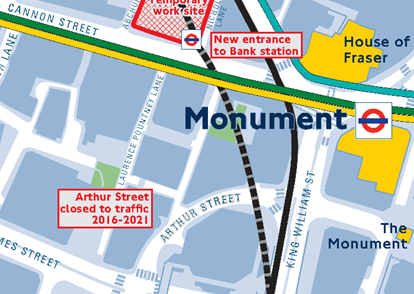 The first was that vehicles could enter via Cannon Street and exit via King William St (or vice versa). This made the logistics of arranging the site much more practical. The second was that a station entrance was now possible on Cannon Street itself, something that went down very well with visitors to the previous consultation as it offered new opportunities and was of benefit to passengers. That proposed for King William St was far too close to existing entrances to really achieve anything other than congestion relief and step-free access to the Northern Line. People come up with ideas all the time. Despite this it is not often that an external organisation comes up with an idea and the relevant professionals wish they had thought of it. But that is precisely what Dragados seem to have done. 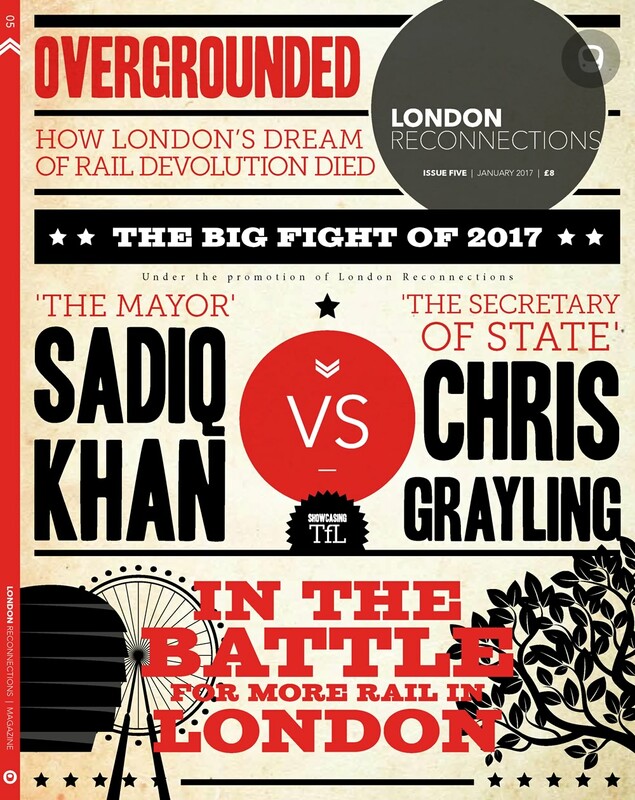 Actually, they seem to have come up with a lot of good ideas that neither London Underground nor the other bidders spotted, but it is their decision about selecting an additional worksite that stands out as the crucial one. In one of those moments where one thinks “Oh it is obvious now it has been pointed out”, one can work backwards and have a pretty good guess at the way Dragados was thinking. The main problem with the work site as originally planned is that it has buildings on it. The trouble with buildings is that they need to be taken down. In the old days one would hire a crawler crane with a wrecking ball attached, swing it around a lot and quickly flatten the structure in a process called “demolition.” Nowadays demolition in the confines of central London is understandably not quite so fashionable and one has to “deconstruct” a building. Unfortunately, as the Crossrail project demonstrated, deconstruction is not a fast process. Once deconstruction had taken place at the proposed single site there would then need to be another phase, during which the site was excavated to dig out any basement areas required. Then and only then could one start building the tunnels that were vital to the station enhancement. Towards the end of the project one would risk having the problem in reverse. If one relied on the escalator shaft to remove all the equipment involved in tunnel construction then completion of the station would have to wait on all the work on the tunnels being complete. The hard reality was that the proposed work site was only ideal for construction of the station entrance and access down to platform level. The only other really suitable use for it would be as a location for the almost inevitable portable accommodation to house the site staff. The unpalatable fact was that either the site would also have to take on the role of being the surface level access point for virtually all tunnelling work, or another site would have to be found. The trouble is that land in the city is very expensive and new buildings tend to be worth hundreds of millions of pounds. It also turns out that a lot of old buildings in the city have great historical value. It would have been lovely if another building or a group of buildings could be found that would be suitable for a tunnelling work site, but there just weren’t any obvious candidates. Part of a map featured in the consultation documents. This shows the location of Arthur Street. The original map is based on one which is Crown Copyright (Ordnance Survey 2013). The first clever bit of the Dragados bid was to identify Arthur Street as a potential work site. This is a rare example of a road being wide and long enough for use as a work site whilst not being so important a thoroughfare that closure would be unacceptable. At this point it is probably reasonable to suspect that the proposed shaft wasn’t really in the ideal place for construction of the new southbound running tunnel. 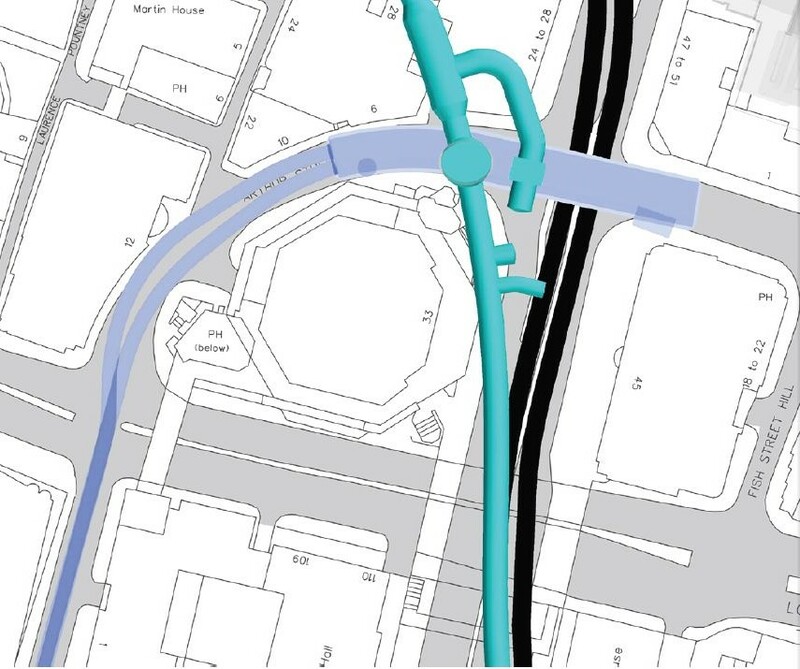 This is another of those times when it pays to think a bit laterally – if the route of the running tunnel isn’t in the right place for the work site, then why not move the proposed route so that it is in the desired location? Plan of the Arthur Street Worksite as made available in the consultation documentation. Original PDF is available here. If the proposed running tunnel has been relocated then it is a bold move and would have involved quite an expensive commitment to investigate. Contrary to what one might think, these things are never as simple as just moving lines on a map. In this case this is largely because one has to take into account deep level foundations. It also places the platforms further apart which of course adds to the cost of building cross-passages but, as we shall see in part 4, having the two running tunnels even further apart may have other advantages. 3D image showing the relationship of the construction shaft, the existing CSLR tunnels and the new southbound tunnel which will pass underneath. Slightly confusingly the direction of view is towards the east with the existing Northern Line tunnels in black. Those who are well versed in the history of the Underground will immediately recognise Arthur Street as a thoroughfare under which could be found the running tunnels of the first tube railway with electric trains (the City and South London Railway – CSLR). The tunnels ran under Arthur Street and the original terminus called King William Street was located on the other side of King William Street opposite Arthur Street. Like most underground tunnels in London no longer used for railway purposes it would not be correct to refer to them as abandoned or disused, but today they are certainly not used for their originally designed purpose (to provide a route for a cable-hauled railway) or actual original use (to provide a route for an electric railway). It is not known whether the CSLR tunnels were a help or a hindrance but they certainly had to be taken into account. In fact as can be seen from the model the shaft will provide direct access into the CSLR tunnels and from that tunnel an adit (short side passage) will connect with the route of the new southbound running tunnel. It is a pity that there is not an original shaft that can be reused but to be fair there is a good reason for this – when the CSLR was originally built the shaft was actually constructed in the Thames. As well as showing the exact route of existing and intended Northern Line tunnels this overlay shows the exact location of the CSLR tunnels. This article is not the place for a description of the details of the former King William Street Station, original terminus of the City & South London Railway (née Subway). A good site giving more details on this can be found here. Alternatively there are the usual excellent suspects – Abandoned Stations and Subterranea Britannica. One might think at this point that the worksite on Arthur Street would be too small for its intended purpose but one has to look at what it is actually needed for. Once the shaft has been built the primary purpose will be to take away the extracted soil. This will require many lorries but not much else. Suddenly Arthur Street looks a very suitable work site indeed. The site has the advantage that the lorries will exit straight onto either the approaches to London Bridge or the main route from London Bridge northwards. Either way the exit and the entrance are to be preferred over Cannon Street or the narrow part of King William St close to Bank. 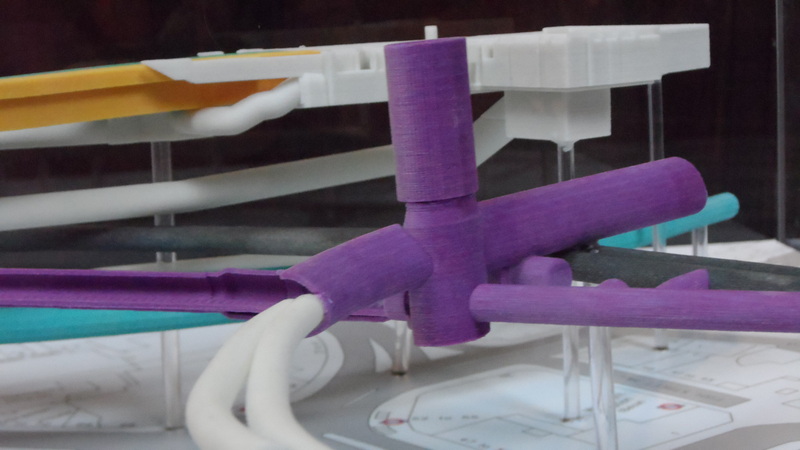 Most of the 3D printed model of the planned Bank station is of high quality. The part showing the CSLR doesn’t live up to the high standard of the rest of the model. Nevertheless it is useful for getting another perspective on the relationship between the tunnels. Parts shown in purple are affected by the capacity upgrade and may be new or modified. One might look at Crossrail’s enormous site at Royal Oak and wonder how a tiny site at Arthur Street can possibly be expected to cope with the paraphernalia of tunnelling equipment. The answer to this is that the amount of tunnelling equipment required is surprisingly limited. Because the length of tunnels to be dug is quite short there is no tunnel boring machine. In fact there isn’t even a drum digger (as used on the Victoria Line) or any form of Greathead Shield. 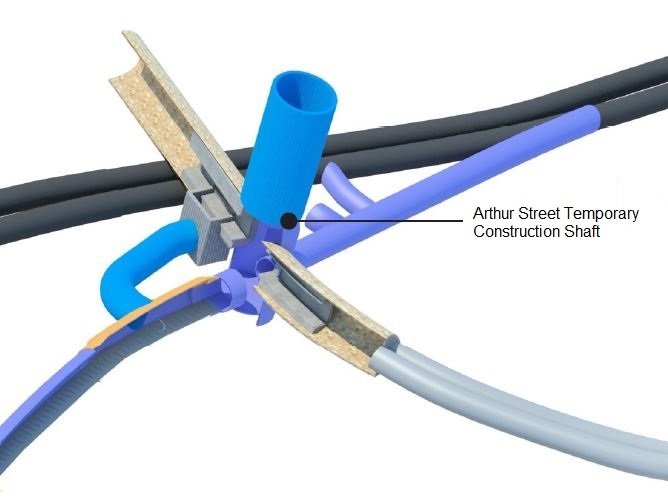 Instead all tunnelling will be carried out using sprayed concrete lining, a technique used very successfully on Crossrail in places unsuited to Tunnel Boring Machines. In fact virtually every tunnel that is part of the Bank Station Capacity Upgrade will be dug remotely by suitable vehicles and the walls immediately covered with an initial layer of quick setting concrete – also applied remotely. As we understand it, there will be no need for thick concrete segments to be delivered as is the case with Crossrail at Royal Oak. This use of a separate work site at Arthur Street has many benefits. One is that it almost splits the project into two independent phases which logistically makes everything much easier. The other is the enormous time saving possible which, incredibly, means that a year can be knocked off construction time. Whilst the buildings on the main site are still being deconstructed, tunnels will be being dug and by the time the escalator shaft from the new Cannon Street entrance is usable as an access route most of the tunnels deep below will already be ready for fitting out. In part 4 we shall look at other changes to the original plan and how they make the scheme a much better one than the one originally proposed. Then in part 5 we shall look at how far plans have currently progressed to handle the disruption during building and temporary closure of the line. Another article with all the original comments still missing after the site rebuild. I’m sure it would have been covered in the comments but can someone remind me why the northbound and southbound lines cross over, thanks? It dates back to the times of the C&SLR from King William St (near Monument) to Stockwell, one of the predecessors of the Northern line. See http://abandonedstations.org.uk/King_William_Street_2.html, below the 5th photo. ‘No satisfactory explanation has been given’! Victorian lines followed streets as land owners previously had rights beneath their properties so space was constrained hence stacking of tunnels underneath narrow city streets. Negotiating easements was complicated and expensive. Avoiding basements and vaults was a benefit. The terminus of the City & South London at King William Street had lower tunnels to get under the Thames. The eastern tunnel under the river becomes the upper one, so this had to be the northbound line because the gradient up to the station from the lower tunnel would have been too steep. This resulted in right hand running, and the tunnels couldn’t be swapped back until south of Borough. The same situation occurred when the line to Moorgate was built, it was not possible for the tunnels to cross over until north of Bank. We should not get bogged down in this, but the gradient issue only explains why the southbound tunnel was the lower one where the tunnels are stacked. It does not explain why this lower (southbound) tunnel, when unstacked, finished up on the west (and therefore right-hand) side of the other one. It could of course have been in order to avoid some cellar or other obstruction, but if so the evidence of such an obstruction has apparently disappeared in the mists of time. It is a further mystery why the CSLR builders, having produced right-hand running through London Bridge station, saw fit to roll the lines over south of Borough station, rather than sticking with right-hand running all the way. Someone did explain why the more westerly tunnel is the deeper one. If I recall correctly, the reason given was that the original CSLR tunnels were built one at a time, and given the newness of the technology in the 1880s, it was safer to build the second tunnel deeper than the first, and further west, than risk the gap left between the first tunnel, the river bed, and the foundations of London Bridge (the bridge itself, not the station) not being big enough. Although the original tunnels under the river are now disused, right hand running prevailed over some distance because of the difficulty of finding somewhere to roll the tunnels over near Borough and Moorgate, and the present tunnels are tied in to the original alignment somewhere in that stretch. Does anyone know how to extract information from “The Wayback Machine”? It’s all about the comments. These seem to be stored in WordPress, so simply copying HTML would not really help. The article with comments as made up to 2014 (some of them are even about the Bank station upgrade!) is available on the Internet Archive here. @timbeau: Greathead (the engineer)’s account of building the line confirms that the upper tunnel was built first (p. 8). His account shows parallels with the current project in that the key problem was finding work sites in the City and avoiding carting excavated material through the streets – both were objected to when the Bill was going through Parliament. Hence as mentioned in the article both tunnels were driven from a single shaft in the river – another advantage of having the tunnels on top of each other at this point would be that you only needed one shaft. The upper one would have to have been done first, and then the shaft deepened and the other one started. All the spoil was taken out by barge. Remarkable that the Victorian project was even more ‘environmentally sensitive’ than the current one. As well as the need to avoid tunnelling under private property, Greathead felt (p. 7) that having the tunnels superposed at stations was an advantage, because it meant that in one direction at least it was possible to have no steps between the bottom of the lift and the platform, even though the lift was off to one side. Also (p. 13) bearing in mind that the tunnels were planned for cable haulage, having the tunnel leaving each station steeper than the tunnel approaching it was obviously good for acceleration, but would also reduce the wear on the cable from the grip while travelling below the 12mph cable speed. There was a crossover at Elephant and Castle (which was where the first cable would end), so the platforms had to be at the same level there. As for why the upper tunnel came down on the left and not right side of the lower one here, is it possible that this was so that the wheels the cables went round at each end rotated in different directions (ie. the cable loop was a figure 8 not a straight loop) and this might have helped even the wear on the cable?